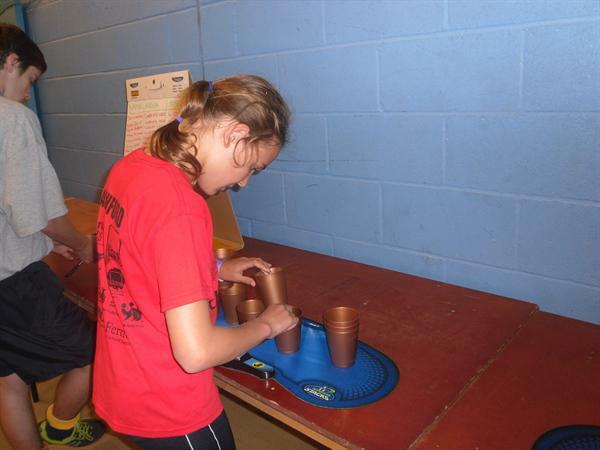 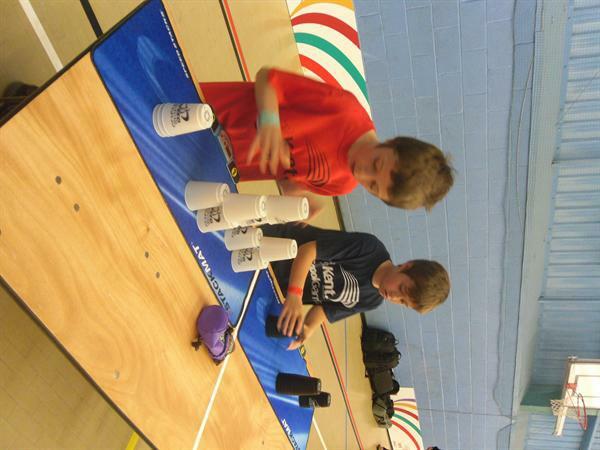 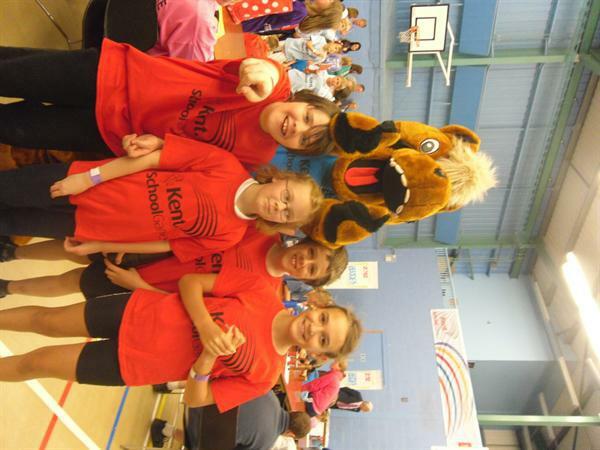 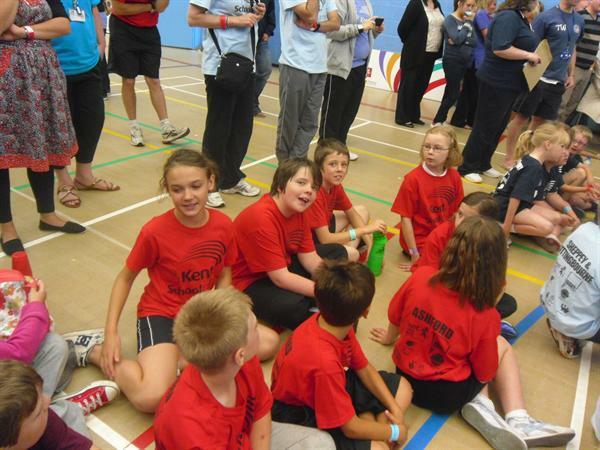 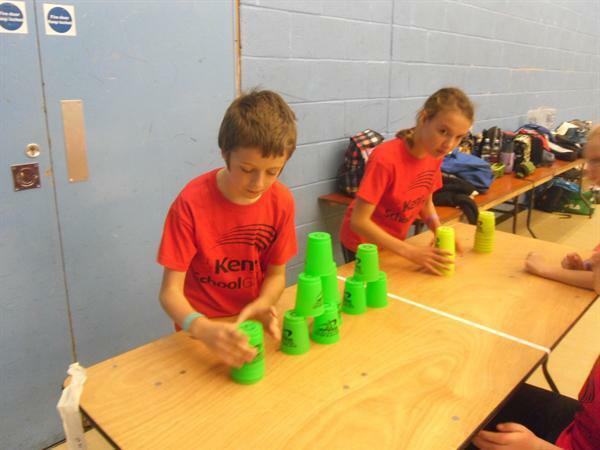 Having won the year 5/6 Ashford area Sport Stacking Championships, the Pluckley team headed, on the 22nd June, to the WSSA 2012 Kent School Games Sport Stacking Championships. 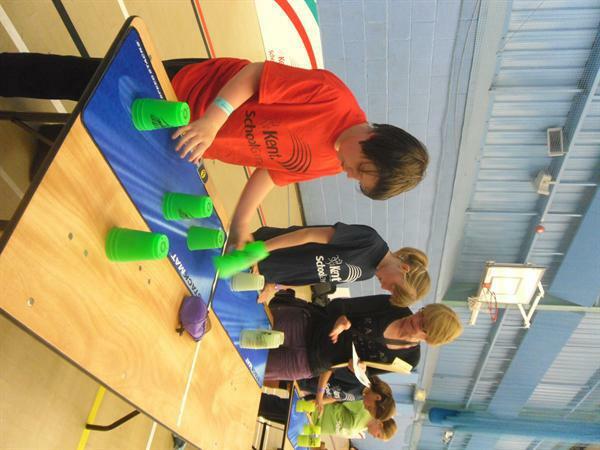 As this event was registered as a WSSA (World Sport Stacking Association) event, stackers could set new GB and world records!!! 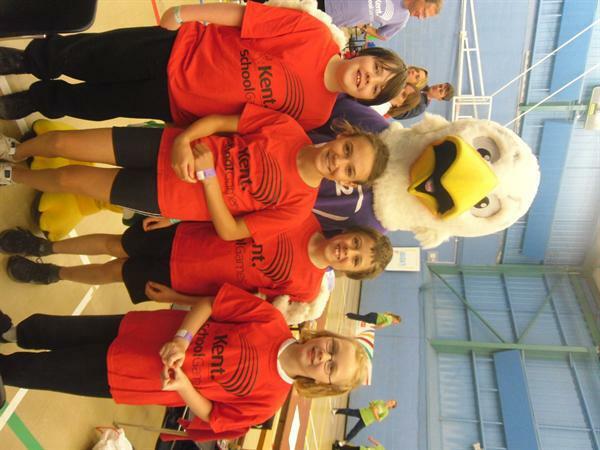 Our team were representing the Ashford area and were competing against the other 12 areas in Kent. 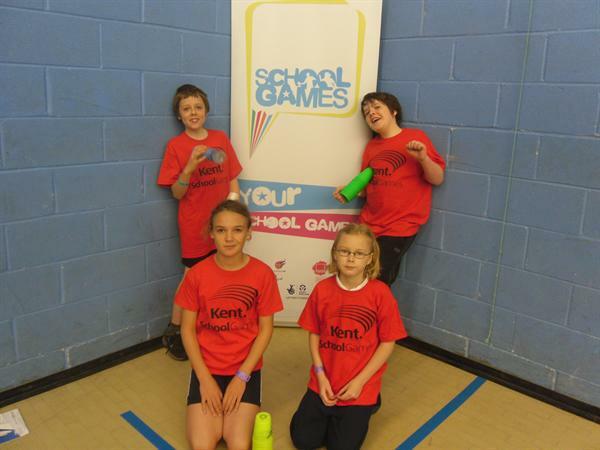 When they arrived, the team put on their Ashford district red t-shirts, and had a bit of time to practise. 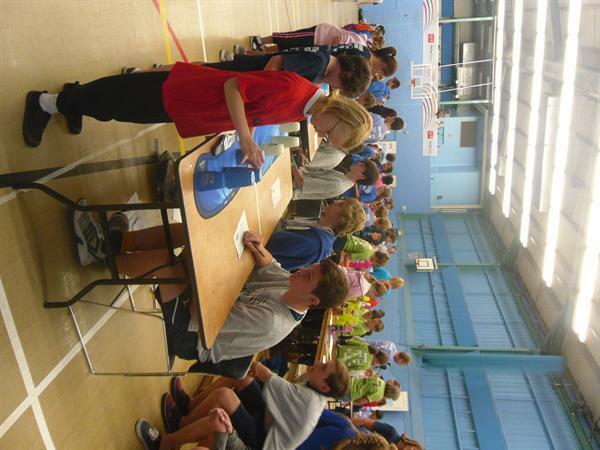 After practising, the team took it in turns to move forward to the competition table where they were timed for all three of the different individual events. 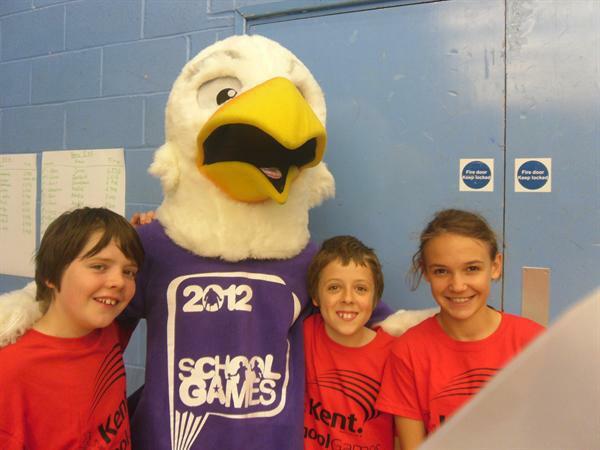 The children did very well, ending up with the same score as the Sittingbourne area, coming joint 10th. 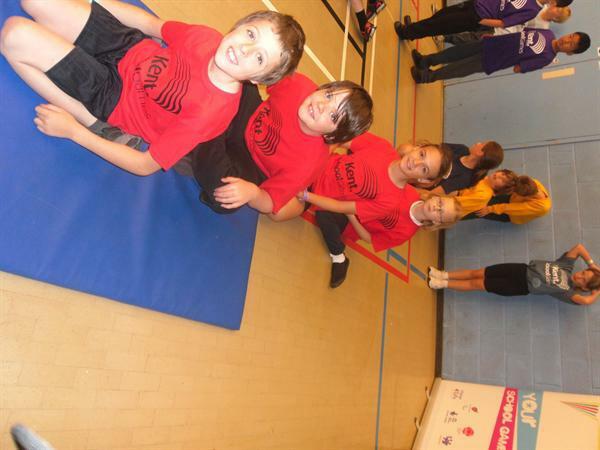 Well done to the Pluckley team for showing true Olympic values and excellent behaviour throughout the day.